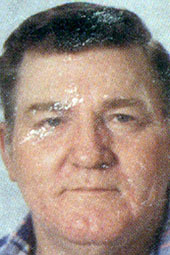 John M Culpepper, 29, married Brenda L Mullinax, 28, on 22 Jul 1978 in Smith Co., TX. Laura Ellen Culpepper, Female, born __ 1988 in Smith Co., Texas, child of John Mastin Culpepper and Brenda Louise Mullinax. Courtney Leigh Culpepper, Female, born __1990 in Smith Co., Texas, child of John Mastin Culpepper and Brenda Louise Mullinax. Johnny L Culpepper, 20, married Darla K Gast, 18, on 23 Aug 1981 in Smith Co., TX. Darla K Gast, 21, and Perry D Porter, 23, married 23 Mar 1984 in Smith Co., Texas. Darla K Gast, 28, and Barry W Koontz, 29, married 28 Jul 1991 in Smith Co., Texas. Michael K Culpepper, 20, married Victoria R Mowery, 20, on 13 Nov 1993 in Smith Co., TX. Georgia Marie Culpepper, Female, born __ 1994 in Smith Co., Texas, child of Michael Kelly Culpepper and Victoria Rachel Mowery. Victoria R Mowery, 25, and Adam F Laprairie, 22, married 12 Jun 1998 in Harrison Co., Texas. Kasey J Culpepper, 23, married Richard L Rivers, 42, on 23 Feb 2002 in Smith Co., TX. Obituary* 16 Oct 2013� Patricia "Pat" Tullos Culpepper Martin Scott, 62, of Tyler passed away Sunday, Oct. 13, 2013, after a long-suffering battle with cancer. Pat was born March 22, 1951, to the late Avery Preston Tullos and Doris Taylor. Pat was a lifelong resident of Tyler on McKenzie Drive where she raised her daughters. She worked so hard cleaning homes for 15 years. She never met a stranger she couldn't talk to and make laugh at her point of view. Pat, also "Memaw," always had something to say, bragging on her daughters or grandchildren, the lights of her life. She was a very devoted wife, Momma and Memaw. Pat is survived by the love of her life, Michael Scott, of Tyler, who took care of her and loved her through every breath mentally and physically; his daughters, Christina and Cody Lovelady, of Tyler, Melissa and Jason Torres, of Abilene; grandchildren, Dylan Bickley, Halee Thomason, Shelby Scott, Trenton Scott, Alex Jimenez, Staci Jimenez and Jaiden Rice, whom she loved to brag about and hug. Other survivors include mother, Doris Taylor, of Tyler; daughter, Michelle Reed and husband Andy, of Tyler; grandson, Michael "Doodlebug" Preston, of Winona; daughter, Rebekah Kaye and husband James, of Dothan, Ala; granddaughters, Lea Joy and Onna, of Dothan, Ala; her brother, Gary Tullos, of Tyler; and nephew, Jimmy Tullos, of Austin. Pat was preceded in death by father, Avery Preston Tullos; and grandmother, Vedie "Mydie" Hickman. Michael L Culpepper, 19, married Patricia A Tullos, 17, on 14 Dec 1968 in Smith Co., TX. Patricia Ann Tullos was born __ 1951 in Smith Co., TX, daughter of Avery Preston Tullos and Doris Marie Hickman. Patricia A Tullos, 25, and Mack P Martin, 25, married 5 Nov 1976 in Smith Co., Texas. Obituary of Patricia "Pat" Tullos Culpepper Martin Scott, published 16 Oct 2013 in Tyler Morning Telegraph. Linda Michelle Culpepper, Female, born __ 1970 in Smith Co., Texas, child of Michael Lewis Culpepper and Patricia Ann Tullos. Richard Culpepper and Liza Neel married 28 Feb 1884 in Smith Co., TX. Ronnie E Culpepper, 31, married Nancy K Carney, 27, on 5 Jun 1993 in Smith Co., TX. Tina A Culpepper, 17, married David A Gray, 17, on 22 Oct 1983 in Smith Co., TX. Tina A Culpepper, 32, married Stephen Z Houston, 20, on 28 Feb 1998 in Smith Co., TX. Linda Earle Culpepper, Female, born __ 1940 in Smith Co., Texas, child of J. A. Culpepper Jr. and Frances Elliott. Linda Earl Culpepper and Grady Earl Piland are the parents of Bambi Lynn Piland, Female, born __ 1958, and Kelly Renee Piland, Male, born __ 1960, both in Tarrant Co., Texas. E-mail written Feb 2012 to Warren L. Culpepper from Shauna Lin Piland Crudupt (gd/o #55908), e-mail address. E-mail written 2004-2007 to Warren Culpepper from Phillip Anthony Culpepper (#43454), e-mail address. Linda Earle Piland, born 21 Feb 1940 in Texas, died 2 Sep 1988 in Los Angeles Co., CA. Obituary* 5 Feb 2015� A graveside service for Billie Ruth Culpepper, 69, of Mineola, will be 2 p.m. Friday, Feb. 6, 2015, in Mount Zion Cemetery with Jimmy Culpepper officiating under direction of Burks Walker Tippit Funeral Directors. Billie was born Dec. 5, 1945, in Smith County to the late Lester and Alma McNair McMillan and passed away on Feb. 3, 2015, in Mineola. She was a Baptist and worked for Southview Nursing Home for many years. Billie was preceded in death by her husband, Eugene Culpepper; four brothers; and two sisters. She is survived by her sons, Terry Culpepper and Tim Culpepper and wife Dana; six grandchildren; three great-grandchildren; one brother; three sisters; numerous nephews and nieces; and many other loving relatives and friends. Billie Ruth McMillan was born __ 1945 in Smith Co., TX, daughter of L C McMillan and Alma May McNair. Obituary of Billie Ruth Culpepper, published in the Tyler Morning Telegraph, February 5, 2015. Terry Wayne Culpepper, Male, born __ 1965 in Smith Co., Texas, child of Edward Eugene Culpepper and Billie Ruth McMillan. Edward E. Culpepper, 64, and Billie M. Culpepper, 60, resided on County Road 1118, Tyler, TX. Obituary of Edward Eugene Culpepper (#55910), published 25 Sep 2009. Timothy Paul Culpepper, Male, born __ 1969 in Smith Co., Texas, child of Edward Eugene Culpepper and Billie Ruth McMillan. Obituary* 25 Sep 2009� Graveside services for Edward E. Culpepper, 66, of Mineola, are scheduled for 2 p.m. Saturday at Mount Zion Cemetery with Bro. Neil Grey officiating. Burial will be in Mount Zion Cemetery under the direction of Burks Walker Tippit Funeral Home. Mr. Culpepper, died Sept. 22, 2009, at home. He was born Aug. 26, 1943, in Chattanooga, Tenn., to the late Jerry and Edna Culpepper. He was a Baptist and he worked for Tyler Pipe as a machinist. He is survived by his wife, Billie Ruth Culpepper of Mineola; sons, Terry Wayne Culpepper of Tyler and Timothy Paul Culpepper of Mineola; brothers, Jerry Luther Culpepper Jr. of Whitehouse, James Ray, Earnest Frank and Jimmy Dale Culpepper, all of Tyler, Ralph Wayne Culpepper of Canton; sister, Edna Laverne Roberts of Tyler; four grandchildren; and one great-grandchild. Obituary of Bobby L. Culpepper, published 17 Aug 2007. Edna M. Culpepper died 18 Apr 1978 in Smith Co., TX. Jerry Lamar Culpepper, Sr., died 3 Nov 1987 in Smith Co., TX. Amber Beth Culpepper, Female, born __ 1984 in Smith Co., Texas, child of Terry Wayne Culpepper and Charlotte Ann Armstrong. Adam Bryan Culpepper, Male, born __ 1985 in Smith Co., Texas, child of Terry Wayne Culpepper and Charlotte Ann Armstrong. Justin Wayne Culpepper, Male, born __ 1987 in Smith Co., Texas, child of Terry Wayne Culpepper and Charlotte Ann Armstrong. Terry W Culpepper, 18, married Charlotte A Armstrong, 18, on 5 Jun 1984 in Smith Co., TX. Charlotte A Armstrong, 36, and Eugene G Cook, 35, married 4 Oct 2002 in Smith Co., Texas. FRUITVALE - Services for Peggy Ruth Culpepper, 54, Fruitvale, are scheduled for 2 p.m. Thursday at High Community Center of Van Zandt County with Buddy Evans and Jim Leach officiating. Burial will be in High Cemetery, Van Zandt County, under direction of Eubank Funeral Home, Canton. Mrs. Culpepper died May 7, 2007, in Grand Saline. She was born Dec. 28, 1952, in Edgewood to Ellis and Mildred Ruth Leach Evans. She grew up in Edgewood and lived and worked in Fort Worth, 1982-2007, when she moved to Fruitvale. She was a store manager for many years and worked in child care for 15 years, She had just received her associate degree as a medical assistant. Survivors include her husband of 37 years, James Edwin Culpepper, Fruitvale; son, Eric Culpepper, Fort Worth; sisters, Sue Sledge, Granbury, Debra Hatchel, Kilgore, and Sharon Robicheaux; brothers, Vernon Evans, Fruitvale, Buddy Evans, Groves, Donald Evans, Yantis, Bobby Evans, Prescott, Ariz., and David Evans, Point; two aunts; two uncles; 21 nieces and nephews. Pallbearers are Eric Culpepper, John Freehling, Joshua Hatchel, Jeremy Hatchel, Chris Evans, D.K. Evans, Lucas Robicheaux and Nate Holley. James E Culpepper, 16, married Peggy R Evans, 16, on 7 Nov 1969 in Van Zandt Co., TX. Obituary of Peggy Ruth Evans Culpepper, published 8 May 2007. James Eric Culpepper, Male, born __ 1971 in Smith Co., Texas, child of James Edwin Culpepper and Peggy Ruth Evans. Michael C Culpepper, M, 20, and Gatha Lennon, F, 18, married 10 Apr 1971 in Harris Co., TX. Tarra Rennae Culpepper, Female, born __ 1973 in Smith Co., Texas, child of Michael Clinton Culpepper and Gatha Lee Lennon. Leanne Marie Culpepper, Female, born __ 1974 in Smith Co., Texas, child of Michael Clinton Culpepper and Gatha Lee Lennon. Corey Clinton Culpepper, Male, born __ 1977 in Smith Co., Texas, child of Michael Clinton Culpepper and Gatha Lee Lennon. Kimberly Christine Culpepper, Female, born __ 1980 in Smith Co., Texas, child of Michael Clinton Culpepper and Gatha Lee Lennon.